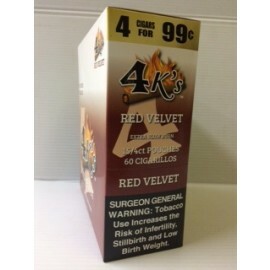 4 Kings Cigarillos French Vanilla 4 x 15 = 60 ct.
4 K'S Cigarillos always, brings to you freshness, quality and value products. 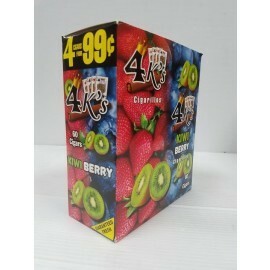 4 Kings cigarillo is a homogenized Wrapper and binder cigarillos. Always fresh and with a zip lock pouch that will keep your cigars fresh until the next use. 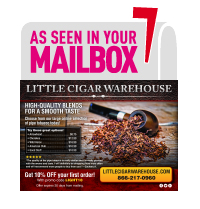 Small, flavored cigars have become insanely popular, 4K Cigarillos deliver some unique varieties that are affordable enough to enjoy any time. You get to choose from Cool Mint, Mint Chocolate Chip and Pumpkin Spice. it's sometimes hard to know which brands are the best. For those wanting to experience the best of times while relaxing with a good cigar in hand, there's no better brand than 4k’Cigarills. An all-time favorite among those who know their cigars, 4k’s Cigarillos are always near the top of the list of the best-selling flavored cigars on the market. 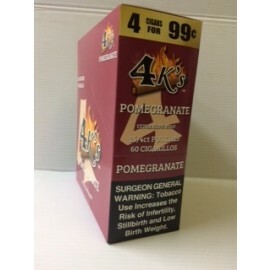 Considered a mild flavored cigar these are machine-made and come in a variety of exciting and satisfying flavors including grape, strawberry, wine, white grape and sweet. To make sure they stay fresh, each cigar is enclosed in an individually-sealed foil to make sure when the time comes, unwrapping it will be a prelude to perfection before lighting up. 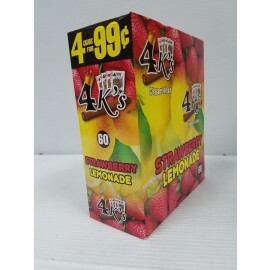 4 KingsCigarillos are readily available in boxes of 30 or 60 and also in bricks of 100, giving enthusiasts a great choice of how many to buy at a time. Coming home from a hard day at work, there's nothing better than unwrapping a favorite cigar, taking in the aroma, lighting up and then sitting back to relax, knowing that for a few moments there is nothing more important than kicking back to have a 4 k’s. No matter the occasion, pulling out a Cigar is the start of something special. 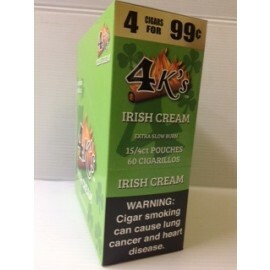 And as we said earlier, there's no way to have a good time without a 4 kings cigarillos.